Weight: Regular – 3 lbs. 15 oz. oz., Long – 4 lbs. 4 oz. oz. 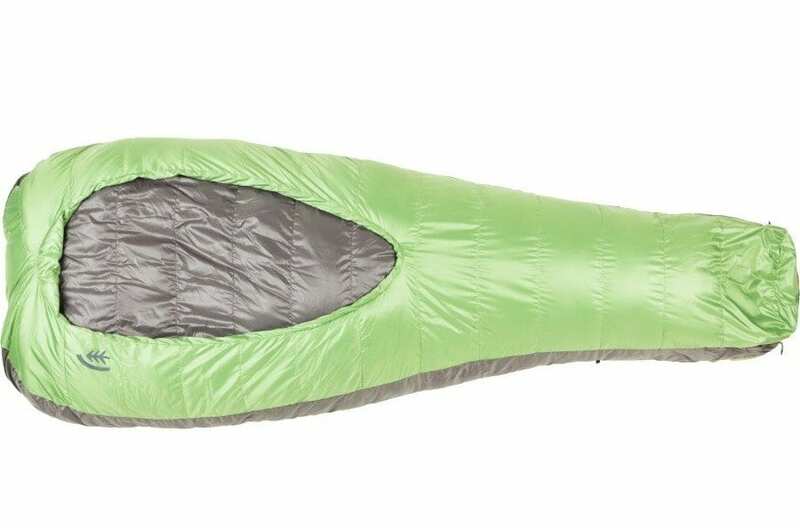 The Lamina Z Torch women’s sleeping bag by Mountain Hardwear is a 4-season synthetic sleeping bag designed with features to make it easy to pack, keep you warm in all conditions, and stand the test of time. The Mountain Hardwear Lamina Z Torch sleeping bag is a women’s specific bag rated to 5ºF/-18ºC. The bag is rated to 5°F on the EN lower-limit rating system. That rating makes this bag suitable for 4-season use. I tested this sleeping bag during winter and spring time high desert camping where, on occasion, overnight lows dipped into the low twenties. A few of the nights had substantial wind guests as well. On warmer nights, the bag was plenty warm and I barely even needed to zip it up to sleep comfortably. But for when the temperatures did drop, the bag also features a mummy hood with a drawstring cord and full baffle to keep out every bit of chill and lock in warmth. The Mountain Hardwear Lamina Z Torch features Thermal Q fill which is a synthetic fill designed to be soft, lofty, compressible and durable. It also continues to insulate when damp unlike down. The loft on this sleeping bag was noticeable and I would say that it has 3-4 inch loft. It expanded quickly when pulled out of the stuff sack. The Lamina Z Torch, thus far, seems durable with the interior construction of 40D Nylon Taffeta lining and exterior of 30D ripstop. After being drug through the sand, snagged on pricker bushes and unpacked and re-packed the bag still has no visible wear and tear. Mountain Hardwear incorporated their Lamina construction, a unique welded technique that reduces weight and bulk. It also maximizes insulation loft, eliminates cold spots, and thermally maps insulation to areas where warmth is needed most. The construction was noticeable since the bag appeared to have no seam sew insulation pockets. In addition to the Lamina construction, the Z Torch features a full length double zipper that allows for easy ventilation. Behind the zipper there is a significant baffle to minimize any cool air from flowing through the zipper. The drawstring hood and substantial neck collar continue to highlight the focus on warmth in the design of this sleeping bag. 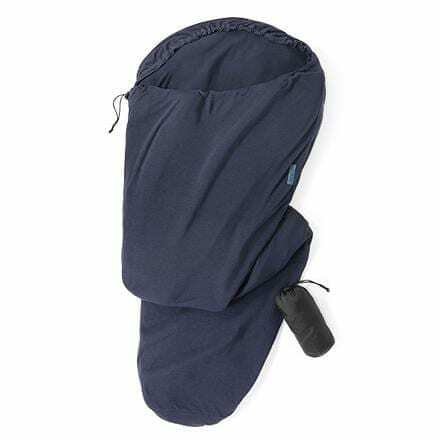 This sleeping bag also features a small zip pocket by the hood to keep small items you want to keep handy during the night. The hooded mummy cut of the Laminina was plenty roomy with a wider shoulder girth and comfort foot box which allowed for a more natural sleeping position than some bags. The shoulder girth measures 56 inches, the lower leg and foot area was considerably narrower which helped save size and weight. While the Lamina construction and Thermal Q are supposed to have maximum compressibility, the bag only packs down to about 8 inches by 18 inches in the stuff sack. This is quite a bit larger than some of the sleeping bags I have used, however, this is a 4-season bag. The Lamina Z Torch weighs in at 4 lbs. 7 oz. which again isn’t the lightest of bags out there, but given the warmth and reliability of it, the weight isn’t really an issue. Overall, the Women’s Mountain Hardwear Lamina Z Torch is a great option for women looking for a reliable, comfortable 4-season sleeping bag. With features that keep out the cold and keep you warm even when damp, this bag is stand out. For me, this bag is more than I need in many instances, but for those camping in harsher conditions this bag is a great option. The Mountain Hardwear Lamina Z Torch comes in regular length and long as well as a men’s and unisex version. Stephanie grew up moving constantly whether in gymnastics or running around on the family farm in New York. Nowadays, she has melded her energy and passion for the outdoors into a career in the ski industry and a continual quest to spend as much time outside enjoying everything that Colorado has to offer. In between skiing each of Colorado's 26 ski areas in one season, she can be found in the Front Range pounding the pavement marathon training or enjoying the abundant singletrack on her mountain bike or her own two feet. Stephanie also enjoys cooking to fuel for her activities, traveling, good beer, reading, and spending time with her family and friends. Follow the care instructions when washing your sleeping bag. These are usually listed on the tag. 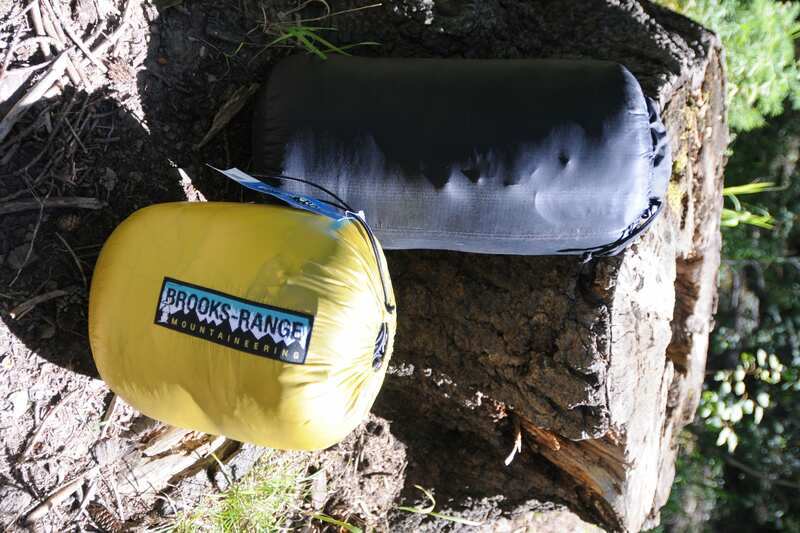 Most sleeping bags should be hand washed with mild detergent or washed in a front-loading washer on gentle cycle. Always tumble dry on low heat. -Consult your bag maker’s instructions (on a label or online). -Get the proper cleaning product (for down or synthetic fill). -Use the gentle cycle and warm water (or cold, if required by the bag maker). -Put it through a second rinse cycle to remove all the soap. -Gently squeeze out excess water. -Place the bag in a commercial-size dryer on low heat. Expect a synthetic bag to take at least an hour; a down bag will take several hours. -Run as many cycles as needed to dry the bag.